If you want to get some respite from the scorching heat of summers in the weekends and want to enjoy some water sports activities. Then India is a nation which is blended with so many destinations which are popular for their water activities. Not only domestic tourists but also foreigners make a visit in India to do some adventure activities. They want to feel themselves cool in the scorching heat. Get yourself relaxed from the water adventure games. Let’s have a look to the Top Water Sports Destinations in India. You can simply explore any of the places. Goa: Goa is a destination where you can spot large crowd in the peak season enjoying the water sports activities like parasailing, scuba diving, wind surfing and many more. It is a perfect place for visiting in summers to catch some waves. But know one thing try to avoid visit at the time of monsoons. You can also visit in winters at that time weather is cool. Andaman and Nicobar Islands: Andaman and Nicobar Island is a perfect destination for scuba diving enthusiasts because of the marine species and beautiful waters in the region. This place is major attraction of visitors. If you are a novice then do not be panic you can take sail boats on rent and learn to kayak and water ski by the professionals. You can have visit anytime of the year but you must be extreme careful at the time of monsoon. Zanskar: Zanskar is a less-explored destination but it is a perfect place for adventure junkies. Rafting on Zanskar River can be a best option for you. 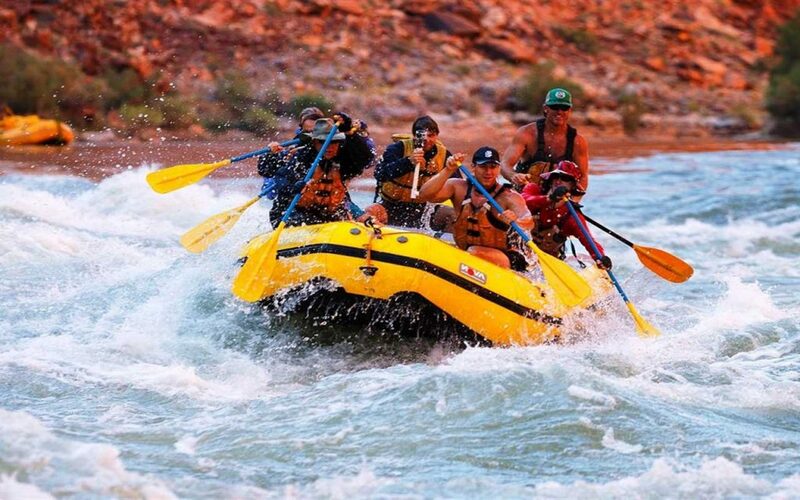 You will get some enthralling and exciting experience from the rafting. You can make your visit from April to September. There are so many scenic sites to explore but problem is less availability of accommodation. Rishikesh: Rishikesh is not only a place for pilgrims, it have also a major visit of adventure lovers. White River rafting in the Ganga River gets you some unforgettable experiences for a life time. You can make your attendance in summers and winters both, all the time it is perfect. This place is mostly loved by the adventure junkies. Netrani Island: Scuba Diving is the most popular adventure sport in Netrani Island. It is a lesser-explored destination but for water sports lovers, it is one of their wishlist. In the underwater you can spot trigger fish, butterfly fish, shrimps and some more creatures. December and January is the best time to visit at this place. Don’t make your visit from June to September months, this sport is not recommended at this time due to rough sea. Manali: Manali is that destination which never gives you less. It provides more than your expectation whether you are going for tour with family and friends or for going for adventure trip. There is something special for adventure enthusiasts. River Rafting, Angling and Fishing are the some water sports you can enjoy. It can be quite thrilling or exciting trip for junkies. Lakshadweep: Lakshadweep is a renowned island in India for water adventure due to crystal clear blue waters and coral reefs. You will find here rich marine life because of stable temperature of the water. It is a best place which conducts water sports like Scuba Diving, Kayaking, Canoeing, Wind Surfing, Water Skiing, Fishing and Sailing. You will enjoy all the activities. The perfect to time visit at this place is from October to May. Don’t plan your adventure in monsoon due to violent behavior of monsoon. These are some of the destinations where you can get awesome experiences from the water adventure. From beauty to thrill, you will face everything. And you will get some cherishing memories to remember life long. So what are you waiting for? Plan your adventure trip!! !